The Govanhill Baths Community Trust (GBCT) is looking to recruit a Swimming Instructor and supervisor for the Leaner’s Pool. 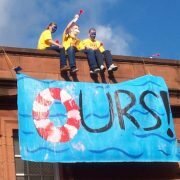 An exciting opportunity has arisen at the Govanhill Baths for the post of Lifeguard and Level 1 Swimming Instructor . Reports to: Learners Pool supervisor.  Provide Lifeguard duties to the Learner’s Pool as required.  To be responsible for the Health and Safety of participants, reporting any defects in equipment or pool infrastructure to the Trust Manager.  Work with sessional swimming instructors to plan, co-ordinate and deliver swimming lessons to toddlers, children and individuals to ensure that they progress and that maximum benefit is gained from each lesson. Location and hours: To be determined within the hours of 9am-8pm week days and 10am-6pm Saturdays.  Be the first point of call for enquiries for all bookings of Learner’s Pool.  Draw up weekly timetable of bookings and activities in the Learners’s Pool and make sure that registers are kept up to date.  Ensure that information, monitoring and evaluation forms are kept up to date and stored correctly.  The postholder will also supervise private hires.  Administer all activities in pool area and ensure compliance with all health and safety rules and regulations and monitor all persons entering issues and ensure appropriate authorisation.  Maintain neat and clean pool area and water at all times and perform regular vacuuming and cleaning of pool.  Ensure neat and clean changing rooms and perform various chemical tests as per requirements.  Develop and maintain professional relationships with visiting clubs and users and ensure compliance to all safety programs and policies of organisation.  Monitor and maintain inventory of all pool tools and equipment.  Excellent interpersonal skills with children and adults with diverse needs.  Proven technical swimming knowledge.  Experience of working with diverse communities. 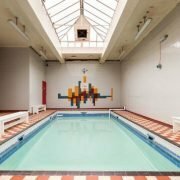 Please email your CV and covering letter to Fatima Uygun at fatima@govanhillbaths.com. Rent Strike! A new musical set in Govan, 1915, opens tonight in The Steamie at the Baths. Written by Fatima Uygun and Colin Poole, Dircted by Fatima Uygun, it tells the remarkable story of how ordinary working class women organised themselves to fight back against exploitative landlords. Featuring songs by Alistair Hulett, Gavin Livingstone and Colin Poole, Musical Director Gavin Livingstone. 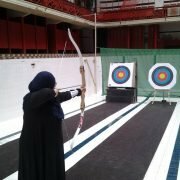 https://www.govanhillbaths.com/wp-content/uploads/2017/04/cid_800CD4CB-302C-43CC-B458-C7A7CF95F39C@home.png 385 1024 editor https://www.govanhillbaths.com/wp-content/uploads/2014/12/Govenhill-Baths-alt-Logo.png editor2017-05-16 11:43:022017-05-16 11:43:02Rent Strike! A public exhibition of proposals for the re-development of the former Larkfield Bus Depot at Butterbiggins Road will take place at Daisy Street Neighbourhood Centre on Wednesday 07 June 11am-6pm. 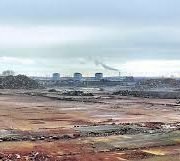 There has been a significant change to original plans published in the press last year with an increase in the size of the residential site but a change in “the nature” of housing at this site. This was supposed to be only for housing for social rent but the new proposals state it is now “affordable” rather than “social” housing. The term “affordable” usually refers to private housing for sale. GBCT would encourage anyone who has concerns about this or an interest in it to attend the “exhibition” and let the developers know your views. Govanhill Baths Community Trust is embarking on an exciting new era in our existence and we need a fundraising expert to help. Later this year we are launching a community share offer with the support from Community Shares Scotland to raise the final sum needed for the capital works and to bring the facility into community control. This will involve engaging a broad range of investors, working closely with the Trust Board and staff to achieve our goals. A new fundraiser will help us achieve this, while building a new fundraising strategy for the sustainable future of Govanhill Baths after refurbishment. If you believe in our project, and have the fundraising skills to help, we want to hear from you. Ensure the website fundraising and communications information is up to date. Write tailored applications, addressing grant-making priorities or requirements as specified by individual trusts and foundations. Knowledge of contracts and VAT issues desirable. Ability to demonstrate initiative and work well under pressure. Ability to understand and generate budgets. If this sounds like you, please send a cover letter, CV, and two references to info@govanhillbaths.com by 6 June. Interviews will be the next week. 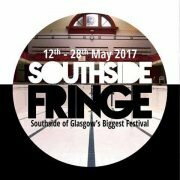 Southside Fringe is back again for 2017 and The Govanhill Baths have an exciting programme of events this month. Rags to Riches have been busy preparing for This Is Not An Orchestra (Saturday 13 May 7.30pm). The group have been making instruments from discarded waste and have created an orchestra using the ‘trash’ musical instruments. They will be joined on the day by Craftworks’ stitched-up elctro beats, singer Rachel Kelly and Annette Street Primary School’s steel drum band. On Sunday 14 May poet Jim Monaghan is joined by spoken word artist Leyla Josephine, 2015 Scottish Poetry Slam Champion Bram E Gieben and musical guests San Fran and The Siscos for The Miserablist Manifesto (2.30pm). 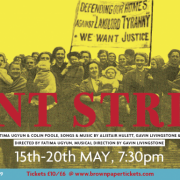 Pitheid Productions present: Rent Strike! a musical set in 1915 when the women of Govan and beyond took on and defeated exploitative landlords during WW1. Written by Fatima Uygun & Colin Poole, songs by Alistair Hullet, Gavin Livingstone and Colin Poole. Directed by Fatima Uygun, Musical Director Gavin Livingstone. Runs from Tuesday 16 May till Saturday 20 May. Blazing Hyena Theatre Company bring a one-off performance of “For The Love of Cousins” to the main pool on Friday 19 May (6-7pm), on situational comedy written by Jack Elliot and Directed by Catherine Exposito.